Optimize your digital supply chain, increase business intelligence and deliver a consistent customer experience with Riversand’s PIM. A Product Information Management system enables you to manage all of the information you need to sell and market your products within a single system thereby increasing business agility, process efficiency and content effectiveness. Why use Riversand’s PIM solution? 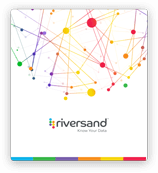 Riversand provides businesses with a high-scale enterprise-grade solution that equips businesses to manage, govern and analyze their product information. By leveraging a best-in-class PIM solution, they are able to go beyond the basics of product information management – developing highly collaborative and efficient digital supply chains, reducing manual processes, moving products to market faster and delivering exceptional customer experiences. Move products to market faster by leveraging smart automation to limit manual workflow. Streamline communications with vendors and internal teams, ensuring that you are getting the right information to the right customer at the right time. Offer customers tailored recommendations and a personalized experience. Optimize assortment planning by combining brand, competitor, customer and seasonality data all in one place. Use out-of-the-box connectors for rapid content syndication to third-party platforms such as Amazon or Google Shopping. Ensure rich, accurate product content (eg: images, romantic copy, videos) across all channels with our digital asset management tools. Quickly onboard new products, pair them with the right digital assets and provide customers with the information they need to make a purchase. Improve customer experience by delivering high-quality product content, customized recommendations and a more intuitive product search experience. Build a visible and collaborative digital supply chain by integrating and synchronizing information across multiple systems, making it easier for partners and internal teams to get the information they need and using intelligent automation to limit manual processes. Easily onboard data from multiple sources and syndicate it to industry-standard data pools and exchanges such as GDSN, 1WorldSync and GXS. Streamline the digital asset creation and management process, delivering the right information to the right customer at the right time. Match & Merge enables fast, accurate onboarding of product content from vendors and data pools. Learn about how other top companies are solving their data management challenges.